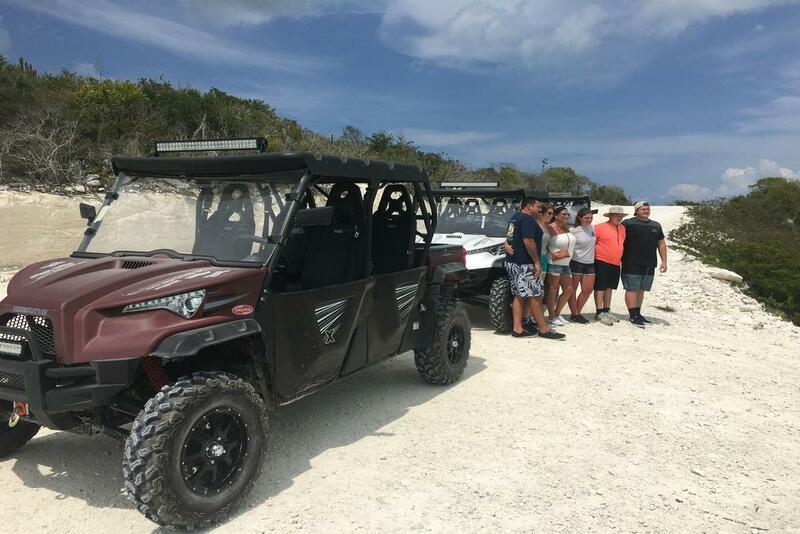 Grab the wheel and discover the incredible beauty of Providenciales in a 5-seater Dune Buggy! Your experience begins with a short drive through the Grace Bay shopping village, before you proceed to the picturesque community of Leeward where you’ll stop for a photo opportunity. Continue your journey along the Millennium Highway taking in the sights and sounds of Provo’s local communities; including Blue Hills, one of the oldest settlements on the island. Then it’s time for another scenic drive to the Blue Mountain where another fantastic photo stop awaits. At just 156 feet above sea-level, this is the highest point of Providenciales! 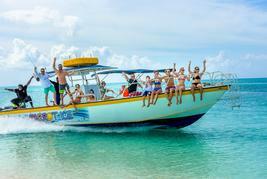 You’ll then hit the road for a final time and head to the Turtle Cove Marina, home to several luxury private yachts.